A year ago we looked a lot different. A few months back we unveiled a new look and feel for the company and app. We produced new groundbreaking original podcasts like “Marvel’s Wolverine: The Long Night”, “Sold in America”, and “Unladylike” just to name a few. 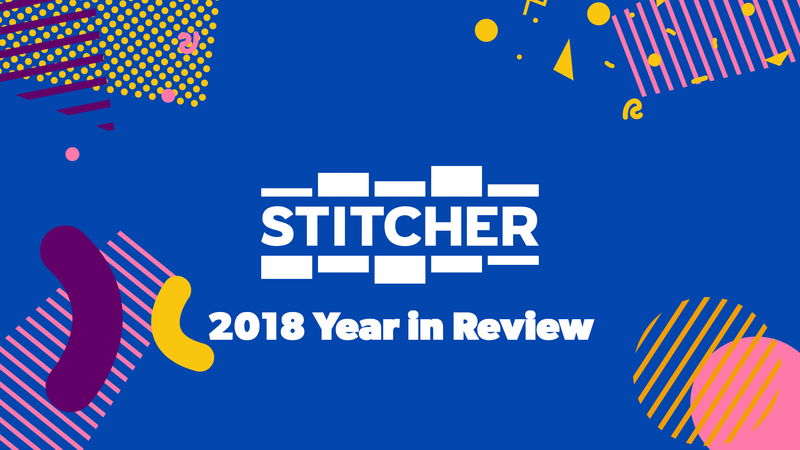 Plus, “Freakonomics Radio” joined the Stitcher Originals family this year. Not to mention, our comedy podcast network, Earwolf reached new heights producing shows with Conan O’Brien, and Jonathan Van Ness. However, we would be nowhere without you, our listeners. You continue to listen to more and more hours of podcasts each year, and it’s truly amazing. We gathered a bunch of our favorite stats from the year to share with you! But wait, there’s more. As a fun treat, some of our favorite podcast hosts recorded a holiday greeting for you. We can’t wait for you to see what’s in store for next year.